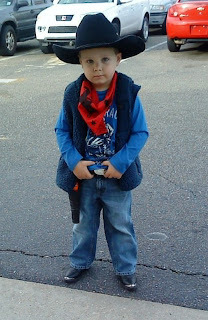 I met Carly and Marshall for breakfast Saturday and this is how Marshall dressed. He did this on his own. 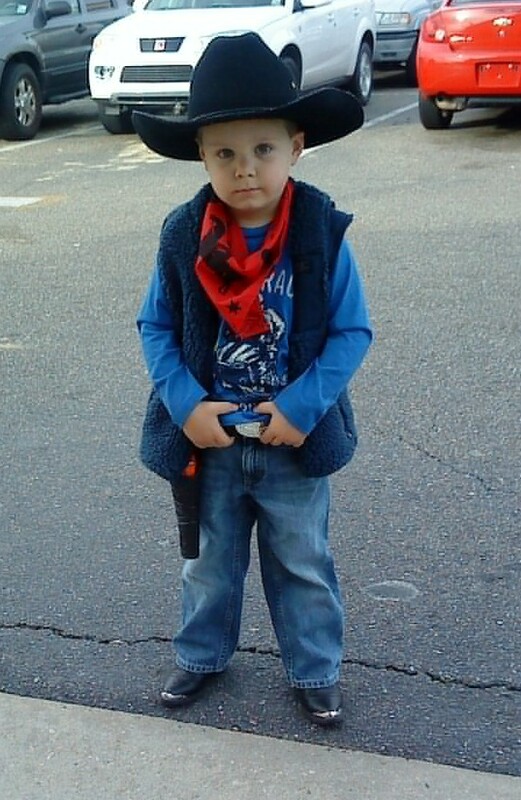 He's all about cowboys. I guess we should be glad he didn't wear his chaps.